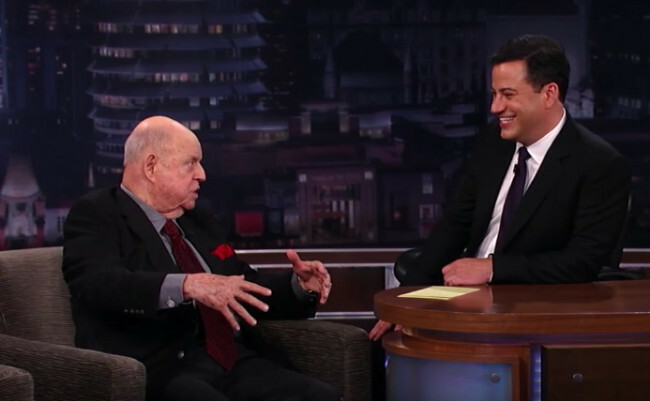 Jimmy Kimmel broke down while giving a tribute to the late Don Rickles on his live show and it’s beautifully touching. 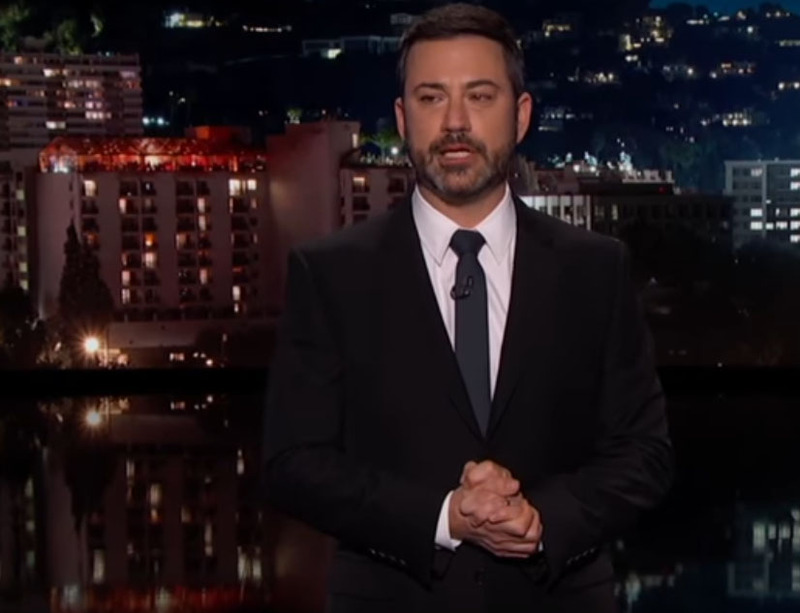 The actor and comedian sadly passed away in his home in Beverly Hills aged 90 yesterday and Jimmy Kimmel’s special tribute to him was an incredibly moving one. Jimmy started off his show in tears as he spoke about his old friend and voice of Mr Potato Head in the Toy Story films. I’ll tell you right up front that I’m going to cry. I’m already crying, which is embarrassing. But I’m not good with this sort of thing and I’m sorry. Especially to those of you who came here to see the show in person, because that’s probably not what you came for. But we lost someone that we and I love very much today. The stand-up comedian – known for taking the piss out of many Hollywood stars through the years – sadly died of kidney failure, leaving behind his wife Barbara and daughter, Mindy. Jimmy did a sterling job at trying to keep it together and paid his respects to the legendary icon in the most emotional, yet hilarious of ways. I know it sounds crazy to say he was too young, but he was. Because he was youthful and funny and sharp and generous. I was fortunate enough to not only have Don on this show as my guest, but also to become close to him and his wife, Barbara, which was a lot of fun for me. We asked him to do the show over and over again, and he didn’t know what this (show) was. He knew ‘The Tonight Show’ and Letterman and that’s it. But finally, after we bothered him like 20 times, he gave up and he did the show for my birthday in 2006. After finally appearing on his show, the pair became friends for 17 years and Jimmy remembered a comical dinner party he once had with the star. Rickles was well known for insulting the rich and famous on many of his TV chat shows, but in reality, Jimmy explains he was a very different character. He would always ask about my parents, my kids. When my uncle Frank passed away, I called [DON]and asked him to be the guest on that show. Which was a tough show. And he helped all of us through it. He gave me advice. And good advice, not just the advice people give you to hear themselves giving the advice. And the end of his tribute, the teary-eyed presenter added a video montage featuring some of his fond memories of the comedian. 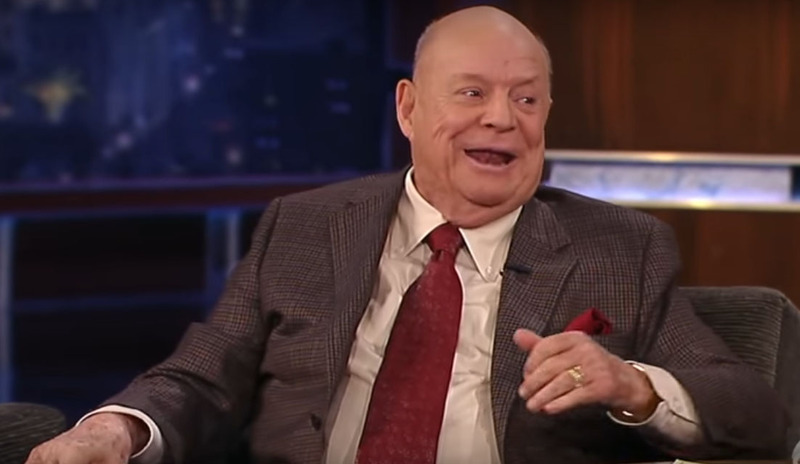 There will never be another Don Rickles. He was probably the greatest talk show guest of all time. Well that was a sad one… I doubt there was a dry eye in the room after that onslaught of emotion. Kudos to Kimmel for finishing at all. RIP to the legend that was Don Rickles.